If you watched the popular Forrest Gump movie, you may have noticed that moment when the perplexed young man opened his brokerage statement and noticed that a big chunk of his shrimp operation profits had been invested in (as he said) some kind of fruit company. He had opened a brokerage statement and comically misinterpreted the iconic Apple computer logo. The movie was released on July 6, 1994, when Apple Computer stock was trading at 93 cents a share. 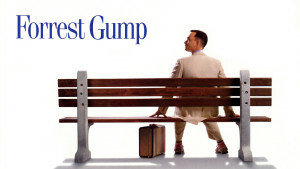 Recently, a commentator looked at what Mr. Gump would be worth today if he’d held onto his shares through last February, when the column was written and the stock price had climbed to $128.66 a share. The stock split 2 for 1 in June 2000 and again in February 2005, and split 7 for 1 in June 2014, so every $1,000 investment would have grown to $136,894—an increase of 13,589%. A $100,000 investment, which seems more likely (by that point in the movie, Gump had become a millionaire, with his picture on the cover of Fortune) would simply add a couple of zeros to the terminal value. This may be the most extreme example in history of a single stock rewarding its shareholders over a long holding period. Does it make you wish you had a working time machine?